Fun, Home Learning Activities for the Whole Family! A lot of learning can be lost over the summer, from family vacations, to sleepovers and grandma’s house. While you want your kids to enjoy their break, you don’t want them losing vital skills. 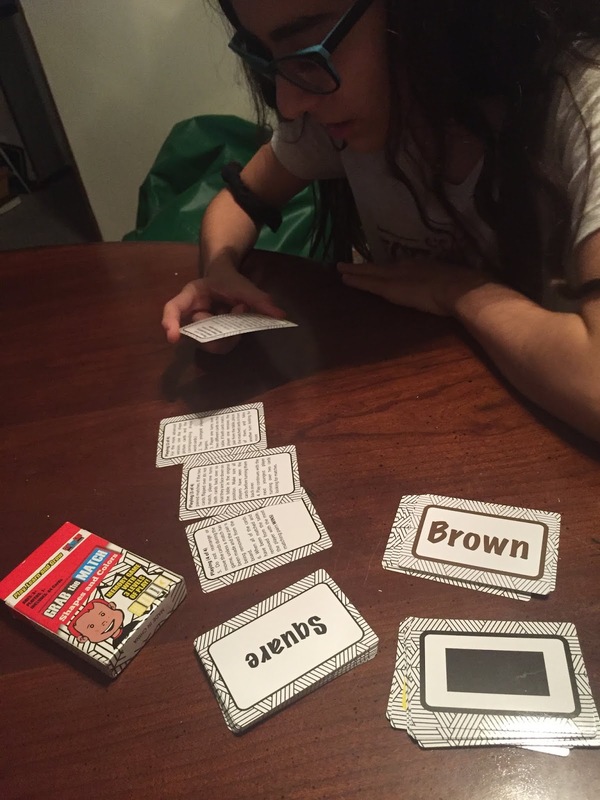 These inventive game-based learning tools from the Home Learning Company are perfect to take with you to all your trips this summer. Your little ones will keep the knowledge they’ve learned through the school year and continue to build on those skills all summer long. The Home Learning Company believes learning should be fun, so each activity is designed to engage your kids in play. From counting, color recognition and matching to pattern identification, shape recognition, and sight word awareness, these activities highlight early childhood educational basics in an entertaining way. 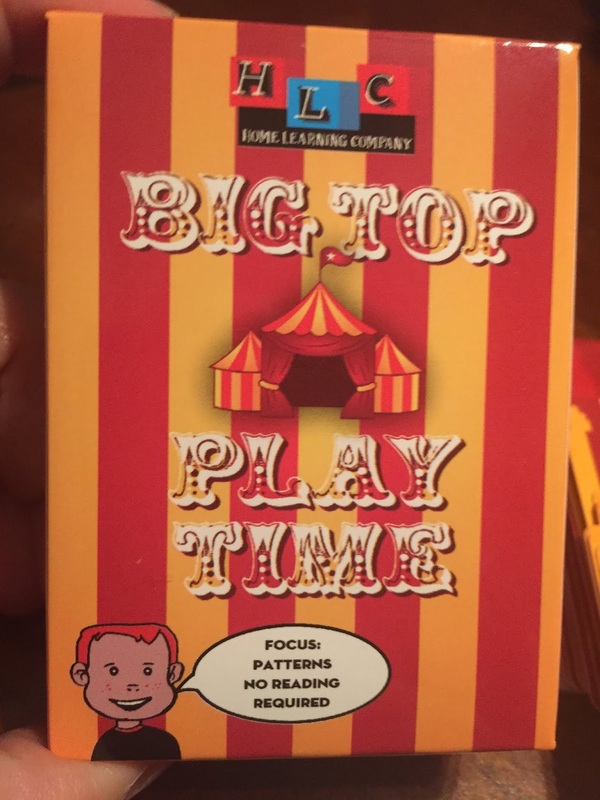 The games are so much fun, adults will want to play too! This is the perfect magnet set for kids learning to understand the days of the week as well as colors and shapes. 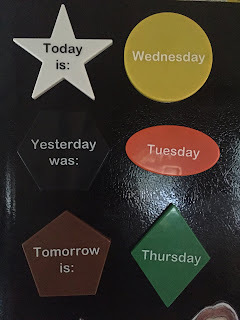 My preschool class loves touching the magnets and shouting out the colors. I have heard these colors at least 500 times today. I find it strange that everyone knew all the colors except white but I did have one child ask why the star wasn't yellow LOL. The website had suggested tracing the shapes. They are great for tracing. They also love counting as much as stating which color they are pointing to. 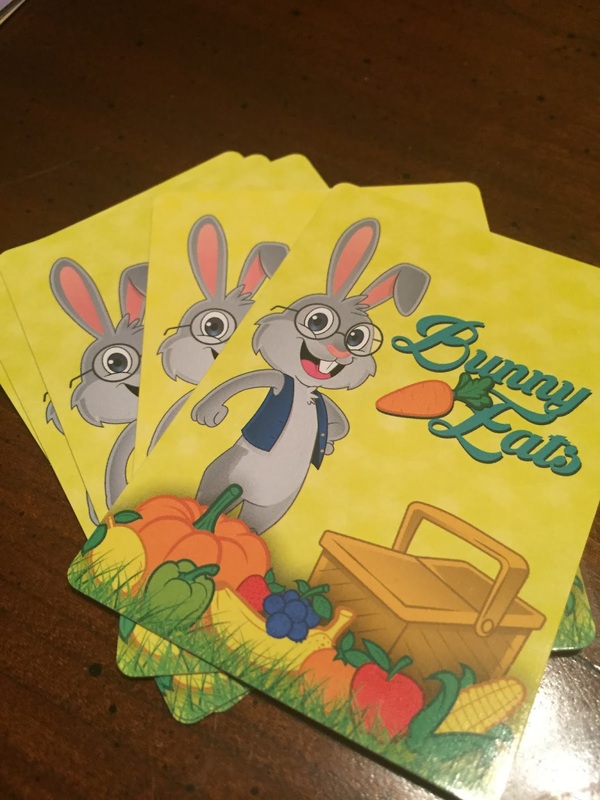 They have so many card games and so much more at Home Learning Company. These are just a few. Meatball Count: Fun for the whole family. 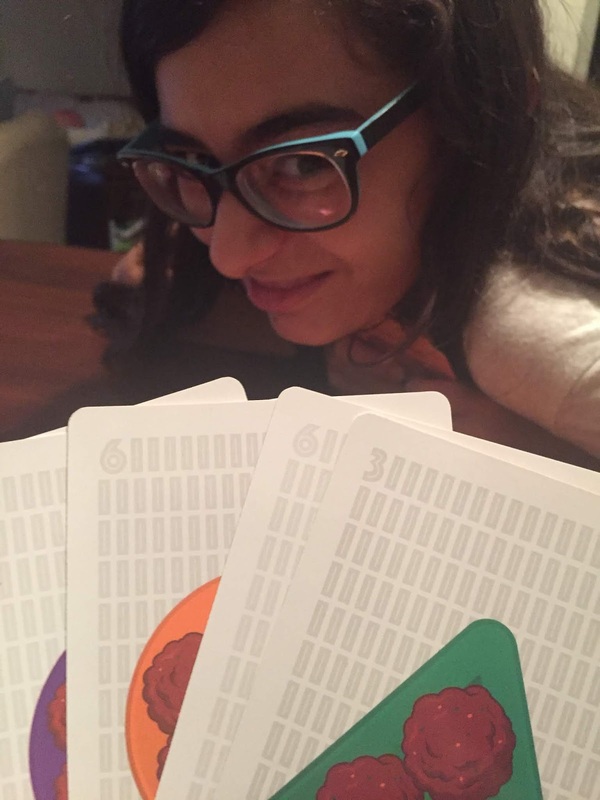 In this multi-level game, players take turns matching the number of meatballs, plate color, OR plate shape in this deliciously, fast-paced card game. 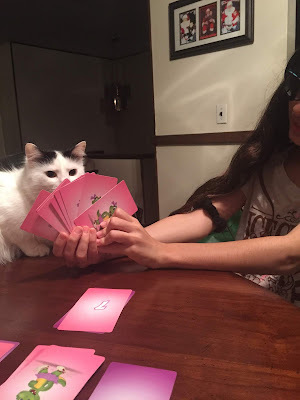 This was probably our favorite game! We laughed a lot! 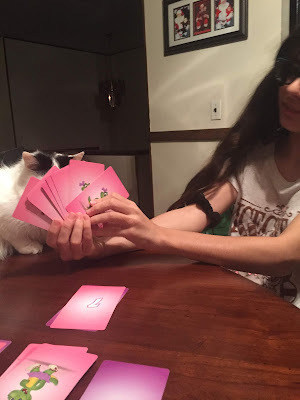 It is definitely fast paced and so far we have played it 4 times even though I thought my daughter would be bored with it. Help Benji Bunny collect food items for lunch. Match the 5 brightly colored, healthy food items in your hand to the colors of Benji's baskets. The first player to match all of their food items to Benji's baskets is the winner! 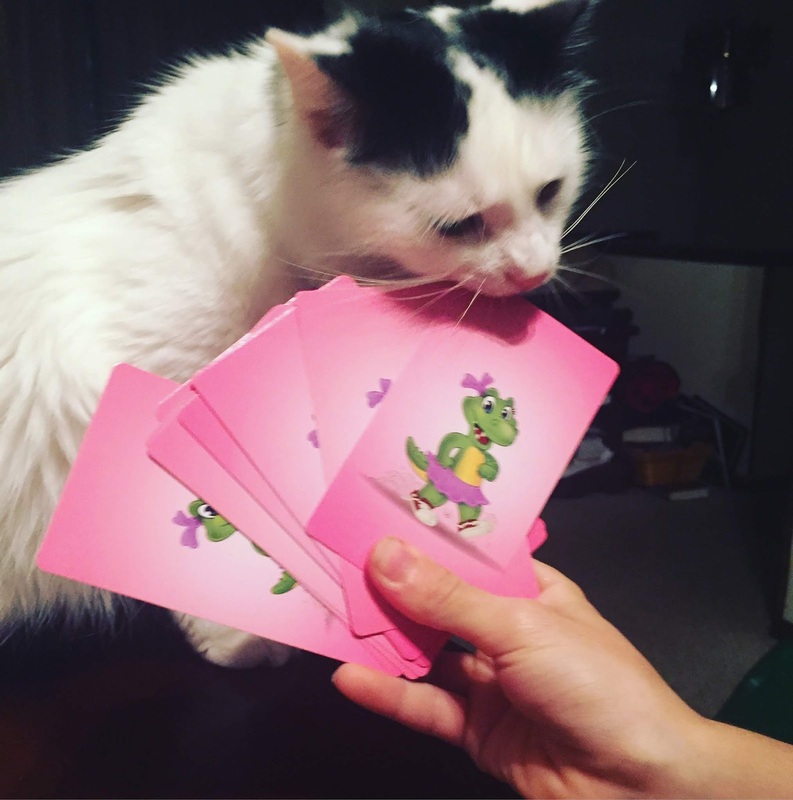 The cards were really cute. There is no reading required so even my 2 year old Preschool class could play this one. 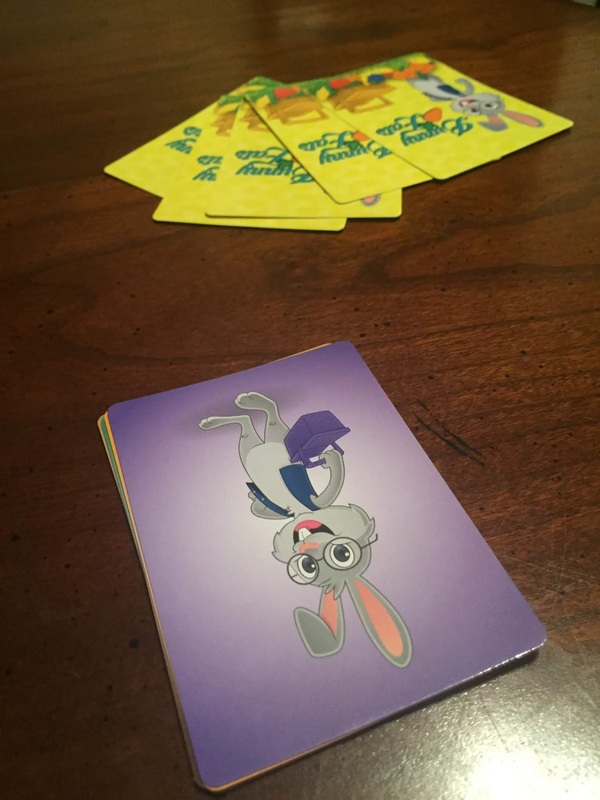 They loved matching the cards and really loved the bunny. 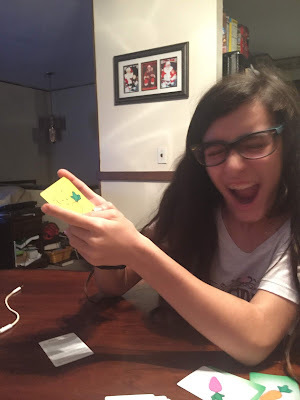 Even my 13 year old daughter loved playing this game with me! Allie Gator is hungry from playing in the swamp all day and she's ready for a snack! Help Allie CHOMP some ooey, gooey worm pie by matching your illustration and numeral cards to the correct color and number sight word cards. But, BEWARE! All players are trying to CHOMP and claim pies for themselves. 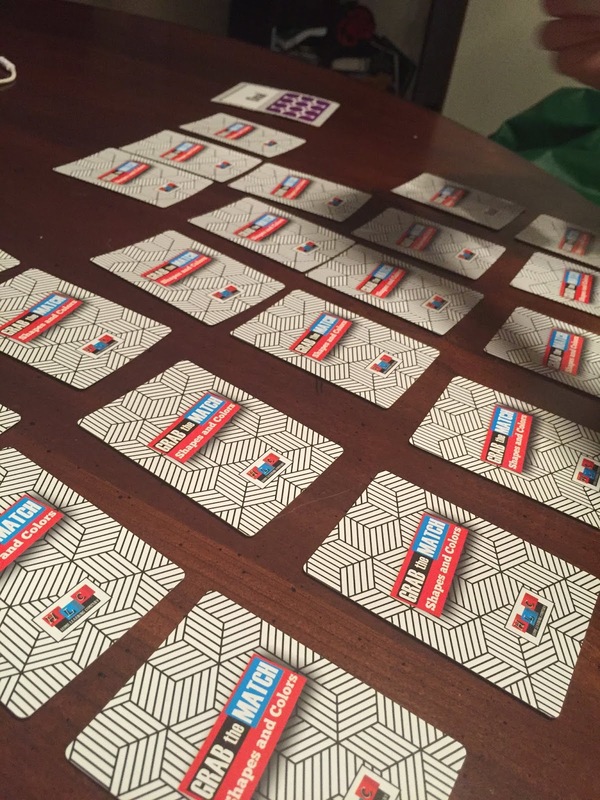 In this game of color and number sight word matches, the player to collect the MOST pies is the winner. This was really a fun game. My daughter, my class loved it! We played probably 50 rounds of this the first night before I brought it to my class. 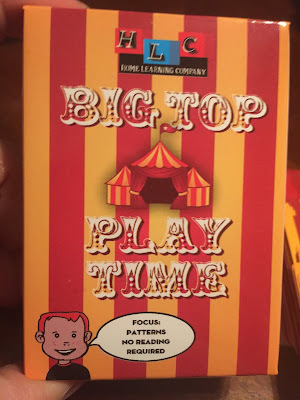 Big Top Playtime was probably my least favorite because it went to fast. The game was fun because children learn patterns. 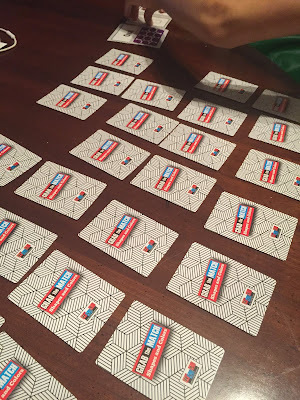 With help my preschool class was able to figure out the pattern and see what card they need next. There is no reading required. 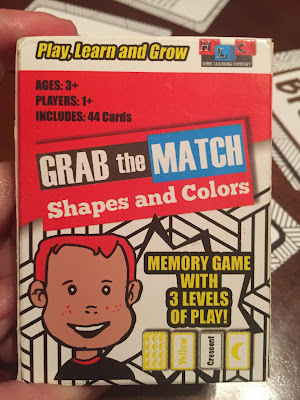 Grab The Match was my favorite...oh wait I said that about another game. 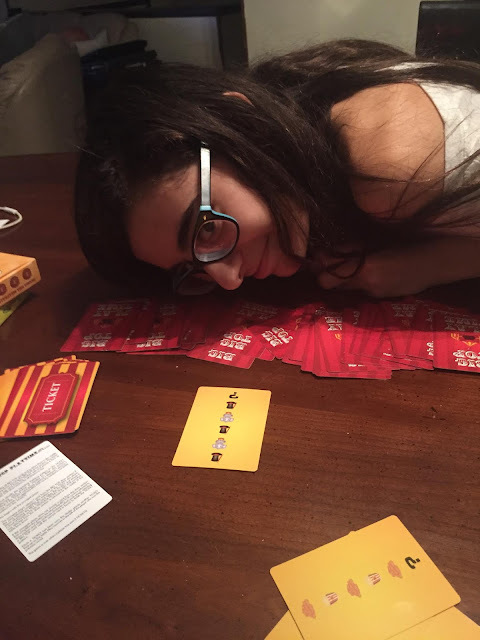 We love matching games and get really competitive. I was unable to do this with my 2 year old preschool class. We loved that there was so many ways to match. You could do colors, numbers, shapes, etc. 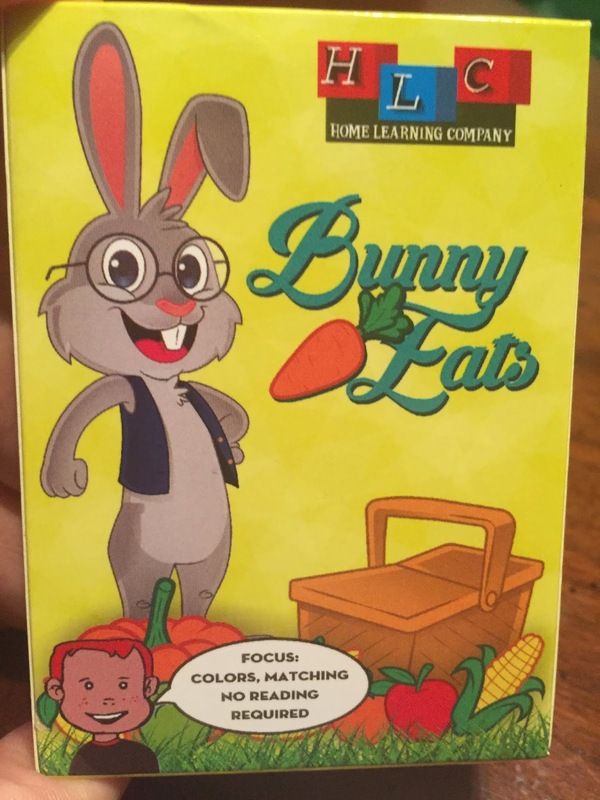 This is a game that grows with your child. 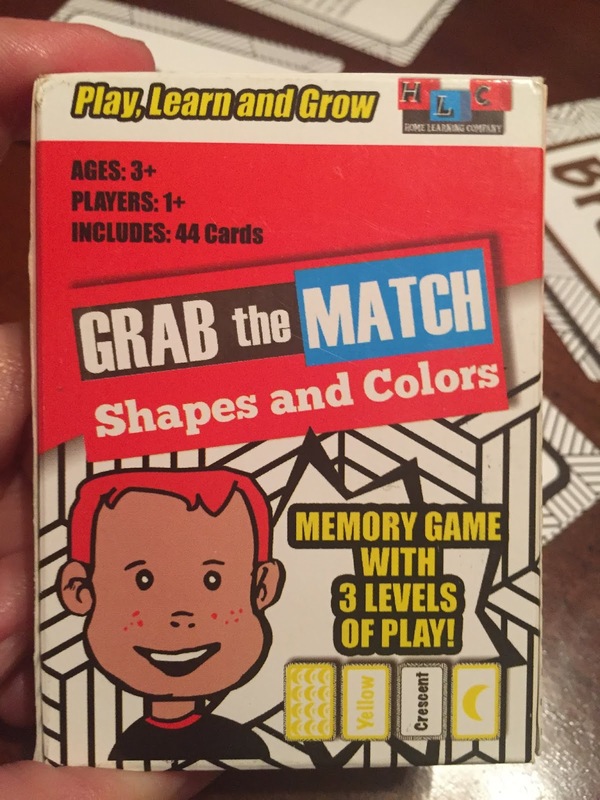 Maybe just do color matches at the 3 year level then as they get older and gain more knowledge you can add other ways to match. On a final note! 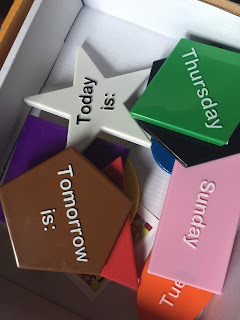 Visit the Home Learning Company website and see the many ways they suggest playing each game. Genius ideas! 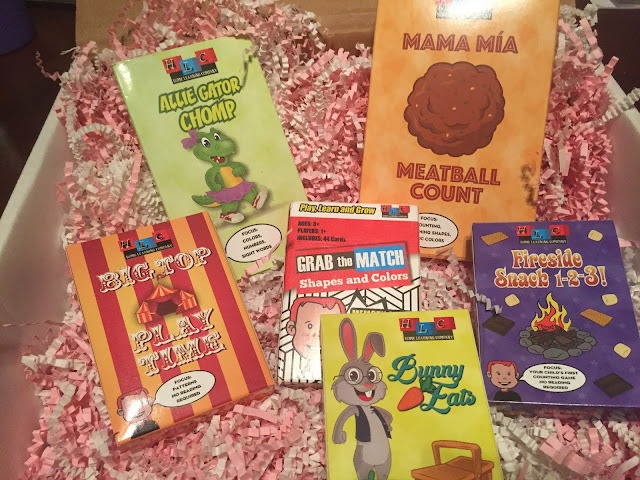 Home Learning Company was born in the kitchen of a small, rural town in Northeast Ohio. The founder was a stay-at-home mom looking for unique and fun ways to teach her toddler son his early learning basics. Rooted in the belief learning CAN and SHOULD be fun, she started creating educational games for “mom school” (as her son coined it) that would highlight the fun in learning!